Linkovi na ovom blogu vode do web stranica izdavača ili autora programa gdje možete besplatno preuzeti program, naći najnoviju verziju programa i podršku za taj program. 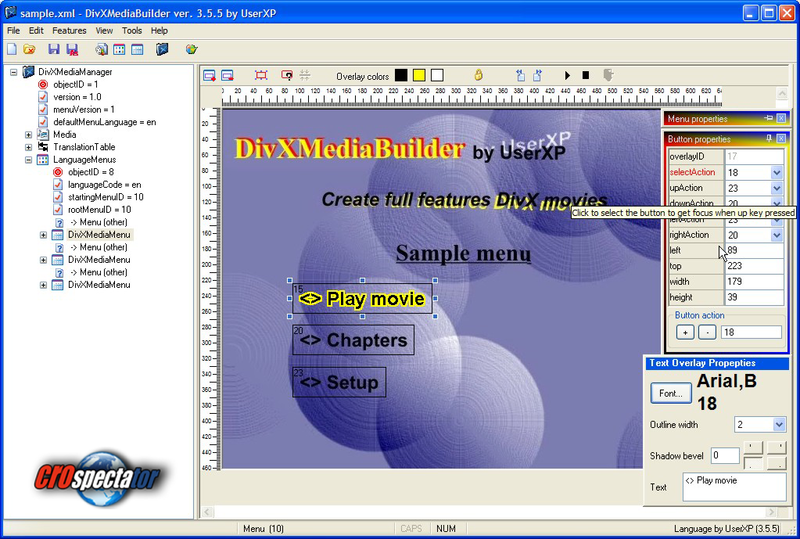 DivXMediaBuilder a program to create full feature DivX files (create the final .divx file). Support menus, chapters and other features of new DivX format. Can create the final xml file that DivXMux needs. Also can create the menu files with buttons and overlays of user choice.